Synopsis: Balthazar Balsan, a renowned author, has everything to make him happy: success, money, fame. Yet he is incapable of being. From all the images of happiness he has collected since forever, none can satisfy or fulfill him. He is depressed. 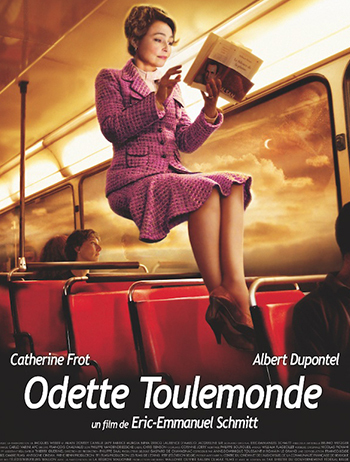 In contrast, there is Odette Toulemonde. A shop assistant in a Charleroi supermarket, she is a widow singly bringing up her two difficult teenage kids, having to clean houses to make ends meet; she enjoys constant daily happiness. Odette believes she owes the writer this joie de vivre that occasionally pushes her over the moon. She will try to give it back to him when, following a string of circumstances, he takes shelter at her place.